John Steinbeck famously drafted his books and stories in longhand in pencil (for example see The Paris Review). His choice of pencil was therefore something he worried about. Here are his three favourites; the Eberhard Faber Mongol, the Blaisdell Calculator, and the Eberhard Faber Blackwing. 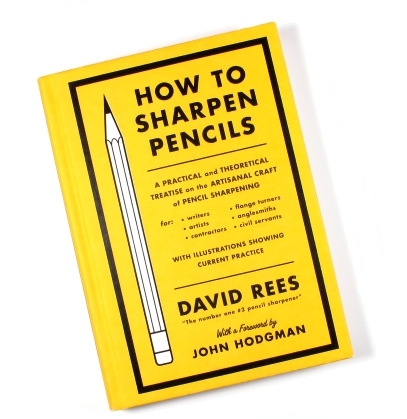 If you are having trouble sharpening your pencils, then worry no more, a complete and authoritive guide has recently be published HERE.